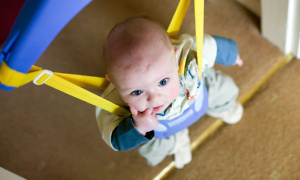 Parents' 10 Most Useful Baby Products - Which? With so many baby products on the market, it’s hard to know which will actually be useful. We asked parents, and these are the top 10. 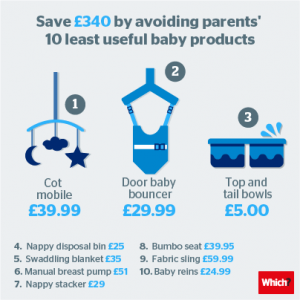 There are so many baby products designed to make life easier for new parents, it can be hard to know which will help and which will be a waste of money. To help you find the baby products you’re most likely to actually use, we asked 1,046 parents with children under the age of five to tell us which items they’ve used and whether they found them useful or useless. We’ve rounded up the 10 most useful baby products, as rated by our parents. However, this list doesn’t include the essential items, such as a pushchair, child car seat, high chair or crib/cradle. A cot mattress was rated as the most useful item by parents, and 67% of them own one. A proper cot mattress is vital to ensure your baby can sleep safely and comfortably. A firm, flat cot mattress that is the right size for the cot, and fits with no gaps down the side that are more than 4cm, is best for your baby. It should be protected by a waterproof cover (sometimes called a mattress protector) and you should avoid second-hand mattresses where possible. Cot mattresses can range in price from £40 to £180. See our cot mattress reviews to find out which we rate as Best Buys and check out our guide to buying the best cot mattress. Stair gates were rated as the second most useful baby product, with almost 60% of the parents we asked saying they owned one. If you’ve got stairs in your home, or a kitchen that you want to keep young children out of, a stair gate can be a safety essential. They can range significantly in price, from around £15 to £100. But a higher price doesn’t always mean you’ll get the best. See our stair gate reviews to find out which we rate as Best Buys and check out our guide to buying the best stair gate. Video baby monitors are more sophisticated than simple audio monitors. Not only can you see your baby, but some also have night vision and can hook up to your PC, TV and/or smartphone. We’ve got plenty of advice on choosing a baby monitor in our guide how to buy the best baby monitor. Plus, you can find out which models we rate as Best Buy baby monitors. 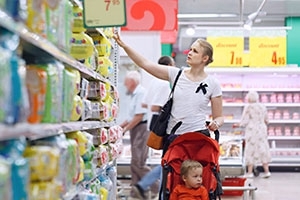 You could use any old bag to carry around your baby products when you’re out and about. But the advantage of a specifically designed baby changing bag is that it usually has different compartments to help you find what you need quickly. Many come with a foldaway changing mat, and the parents we surveyed certainly appreciated theirs. You can spend as much as you like on a baby changing bag. Prices start from less than £20, but you could spend more than £250 on a designer one. Audio baby monitors received the same number of 'useful' votes as baby changing bags. They allow you to hear your little one when you’re not in the same room. There’s a wide range available, from basic sound-only monitors to video baby monitors (also in our top 10 list). Audio monitors can cost anything from less than £20 to more than £60. We’ve tested both audio and video baby monitors for sound quality, range, battery life and ease of use. Find the best one for you with our baby monitor reviews. That's our top five. Read on to find the five next most useful baby products. See our guide to find out more about baby feeding products, from bottles to bottle warmers. With more and more of our everyday lives being run through our smartphones and tablets, it’s no surprise that a range of apps have cropped up that you can download to act as a monitor for your baby. Some smartphone baby monitors work by using a webcam-like device which connects to an app on your phone. It means you can set it up to see your baby when you’re out and about as well as when you’re at home, for example, if a nanny or childminder is looking after your baby during the day. An alternative is to turn two connected devices into linked baby monitors, such as your smartphone and a tablet. The phone is positioned in your baby’s room so that you have a clear view of them, and then the tablet provides images and sounds when you’re in another room. Not sure what kind of baby monitor you need? Read our advice on how to buy the best baby monitor. As well as electric steam-steriliser kits, microwave versions are also popular. Microwave steam-steriliser kits are more compact and tend to be cheaper than electric ones. They typically cost around £20 to £50. A new entry into the our top 10 of the most useful baby products, and one that could divide parents. Some swear that all you need to wash your baby is a wash basin and a plug, while others like the support and safety of a proper baby bath, particularly if you’re worried about taps, bars of soap or tubes of toothpaste getting in the way. Some baby baths also have a newborn insert, which helps to support them in a reclining position so you’re not having to hold your baby with slippery hands while also trying to wash them. A baby bath is also useful because you don’t have to spend ages waiting for a bath tub to fill up, and this could also make it easier to keep control of a suitable temperature. As your baby grows, and starts being able to sit up on their own, a baby bath is less useful. However, for the first six months, it could be a particularly handy bit of baby kit, as our survey suggests. They typically cost between £10 and £60. Read our reviews and advice on buying the best digital thermometer. In February 2017, we asked 1,046 parents of children aged five and under about the baby products they have used. We asked them to rate products on a scale of 1 to 5 from least useful to most useful. 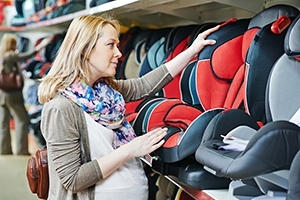 This excludes core products: pushchairs, car seats, high chairs and cribs/cradles.